Sugar is working against you! Don’t let it! Uncovered this article a few months ago. I am always interested in how sugar and a heavy sugar diet effects our bodies. You may have seen measurements of how much sugar is hidden in the products we buy and consume. It is not in the obvious places but in the most hidden spots (for example, see the sources the author refers to below). I am not even referring to only “white sugar” but the nutrients your body treats as sugar that can overwhelm your blood sugar. It is important to be aware of all of the things we eat that our bodies treat like “sugar” and limit them. Nutrient dense foods that are colorful, and packed with vitamins and minerals are the best choices. Contact me if you want to learn more at eatlivefit.net. I would love to help you uncover these that are sabotaging your efforts in your own food choices. In the meantime, check out this Australian study that is eye opening about how our children are eating these days thinking they are making the healthy choices. Following in the footsteps of Morgan Spurlock, who ate only McDonald’s food for one month in the film Super Size Me, an Australian man has undergone a sugar-heavy diet for 60 days to explore the ingredient’s impact on his health. 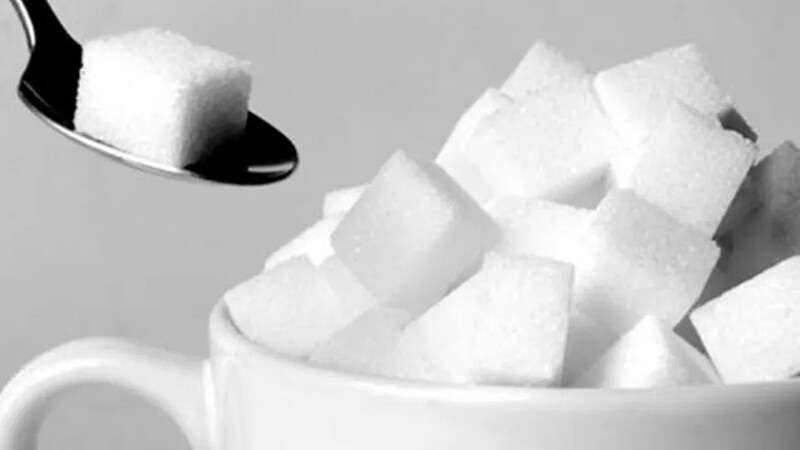 In the upcoming That Sugar Film, Damon Gameau, a filmmaker and TV actor, vows to follow a strict diet of “healthy,” low-fat food with high sugar content, News.com.au reported. Within three weeks, the formerly healthy Gameau became moody and sluggish. A doctor gave him the shocking diagnosis: He was beginning to develop fatty liver disease. According to the Mayo Clinic, the most severe outcome for fatty liver disease is liver failure. Gameau reportedly consumed 40 teaspoons of sugar per day, or slightly more than the average teenager worldwide, according to News.com.au. According to the American Heart Association (AHA), the average American consumes 20 teaspoons of sugar daily. The AHA’s daily recommendations for sugar consumption are 6 teaspoons for women and 9 teaspoons for men. In That Sugar Film, Gameau observeed that the additive impacted his physical and mental health. Doctors called his mental functioning “unstable,” and the father-to-be reportedly put on nearly four inches of visceral fat around his waist. He was on the fast track to obesity. Gameau said his sugar-laden diet left him feeling hungry, no matter how much he ate. His final meal— which consisted of a juice, a jam sandwich, a bar, and a handful of other snacks— is similar to an ordinary child’s school lunchbox. “Sadly, it was very easy to do and fitted comfortably into the small plastic container,” Gameau wrote on his blog documenting his experiment. Gameau told News.com.au that the experiment’s findings don’t suggest a need to completely cut sugar— but rather a need for more awareness about how much sugar has been added to perceptibly healthy food. According to the Centers for Disease Control and Prevention (CDC), 29.1 million Americans, or 9.3 percent of the population, have diabetes. In adults, type 2 diabetes accounts for about 90 to 95 percent of all diagnosed diabetes cases. Research has shown that sugary drinks are linked to type 2 diabetes. Consuming excess added sugar is also associated with a higher risk of developing cardiovascular disease—the leading cause of death for men and women in the United States, according to the CDC. Heart disease accounts for one in four deaths in the United States, or about 600,000 annual deaths. That Sugar Film will be released in Australian movie theaters in February 2015. A U.S. release date has not been listed on the film’s website.